After announcing the launch of its Redmi Note 6 Pro in India, Xiaomi has now confirmed that the phone will go on sale on November 23. That’s right, Xiaomi has revealed that the Redmi Note 6 Pro will be sold on Flipkart and mi.com starting 12PM IST on November 23. 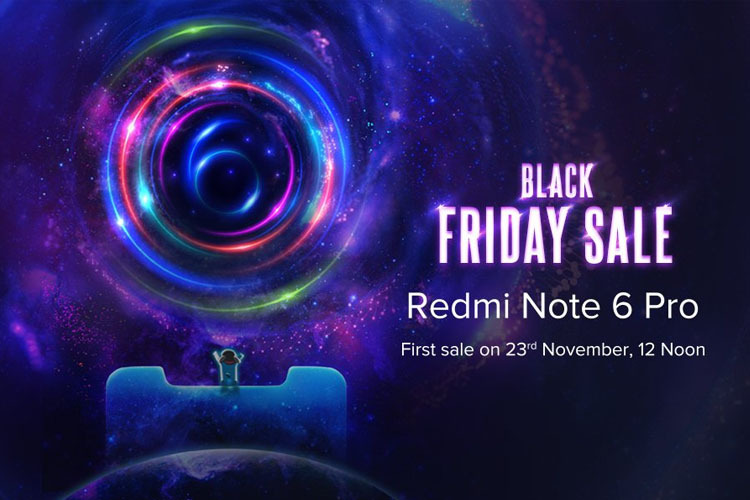 In fact, the landing pages on both Flipkart and mi.com are now live, and it says that the phone will be a part of Xiaomi’s Black Friday sale. As for the pricing, Xiaomi has revealed any details. But considering the fact that Redmi Note 6 Pro is similar to its predecessor in ways more than one, it is expected to be priced in the same ballpark of Rs. 15,000 to Rs. 20,000. The Redmi Note 6 Pro was first launched in Thailand where the 4GB RAM/ 64GB Storage variant is priced at 6,990 baht (~ Rs. 15,300). We can expect it to be priced along the same lines, but I believe we’ll get more configurations in the country. The Redmi Note 6 Pro is powered by a 14nm octa-core Qualcomm Snapdragon 636 processor, and is coupled with up to 6GB RAM and 64GB of internal storage. It also sports a 6.26-inch full-HD+ IPS LCD panel with a 19:9 aspect ratio and a notch. The notch, however, houses dual-selfie (20MP + 2MP) cameras. It also has a dual cameras setup at the back (12MP + 5MP), making it the first Xiaomi device to carry quad-cameras. We’ll have more to talk about the phone once it official in India, so stay tuned. In the meantime, let us know if you’re excited for the launch of Redmi Note 6 Pro in India by dropping a comment down below.